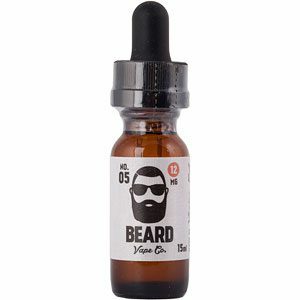 Tan By Beard Colour is an 85% VG, delicately spiced Chai Latte eLiquid made by the mixologists at Beard Vape Co.
Red by Beard Color is a high VG eliquid featuring a classic flavour blend of Strawberry with Cream. 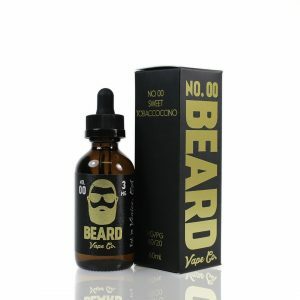 Beard Color eliquids are created by the same minds behind Beard Vape Co. 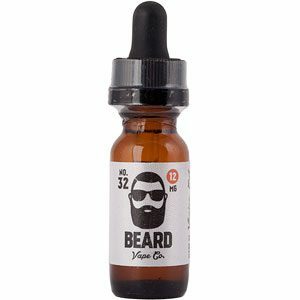 Pink by Beard Color eliquid is a blend of sweet Mangoes and Lychees for a balanced fruity vape with an 85% VG ratio. Green by Beard Color blends Melon with just a dash of Custard. Green has an 80% VG mix perfect for Sub Ohm vapers. Blue by Beard Color features a crisp Melon flavour blended with Cucumber notes. Blue has an 80% VG ratio making it more suitable for Sub Ohm setups. 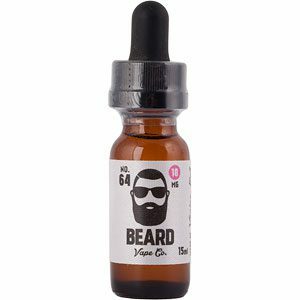 No.42 eLiquid by Beard Vape is a blend of Mixed Fruit and Berries, along with Cream. Greatness has come, and its come bearded and called #24. 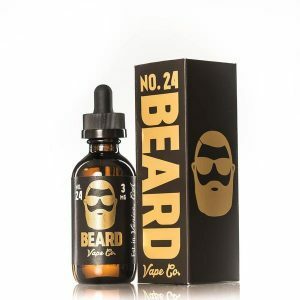 #24 by Beard Vape is a delicious and unique eliquid that will blow you away with every vape. Salted caramel malt awesomeness, just get ready for the pinnacle of beards. #00 E-Liquid by Beard Vape Co is a combination of cappuccino and tobacco flavours for a new Coffee/Tobacco flavoured liquid. 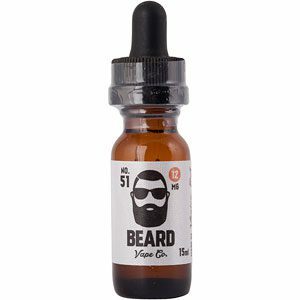 An expertly blended e-liquid from Beard Vape co, consisting of vanilla custard and chocolate sauce, the perfect dessert. Prominent Flavours: Vanilla Custard and Chocolate Sauce.